Zsa Zsa Gábor, the Hungarian beauty whose many marriages, gossipy adventures and occasional legal scuffles kept her in tabloid headlines for decades, died Sunday in Bel Air, California. She was 99. Zsa Zsa was not 15 when she „lost her virginity” to Atatürk, she was already 21 when she met the Turkish statesman and had a brief romantic affair. Even after her death the sensational (and somewhat distasteful) statements about her bigger than life persona are still swirling around. There is one untranslatable Hungarian word to describe Zsa Zsa, she was vagány. She was a tough, fearless woman, a bit of a trickster, and she was certainly one of the first people to be famous for being famous. She worked at it very hard. 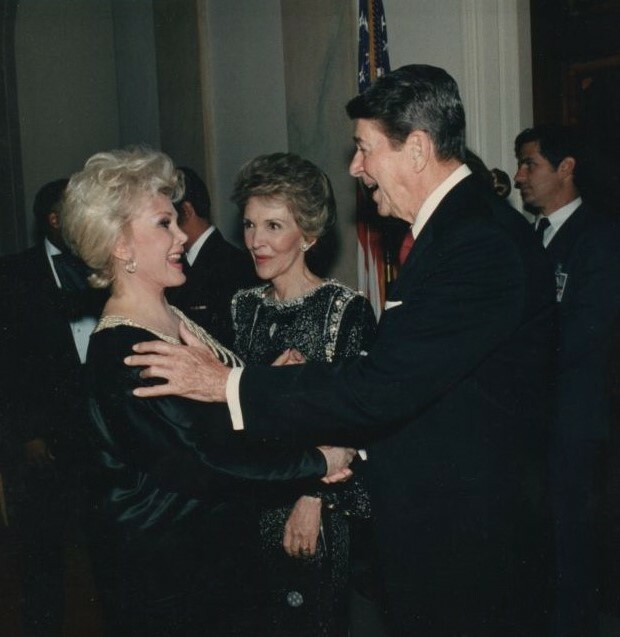 Zsa Zsa was a good friend of US President Ronald Reagan. Zsa Zsa and her two sisters (Éva and Magda) had little bankable education, a thick Hungarian accent not often desired in Hollywood, and yet the sisters made a fabulous career in show business. They understood perfectly that their good looks and exotic femininity were hot commodities in California. They played it perfectly and the audience loved it. The three sisters, Zsa Zsa, Éva and Magda were beauties. At 16, in 1933, Zsa Zsa was a runner-up at the Miss. Hungary beauty pageant. At 20 she married a Muslim man. Her first husband was 38 years old Burhan Belge the press secretary at the Turkish Embassy in Budapest. They moved to Ankara where Zsa Zsa met 57-year old Kemal Atatürk, the President of Turkey. 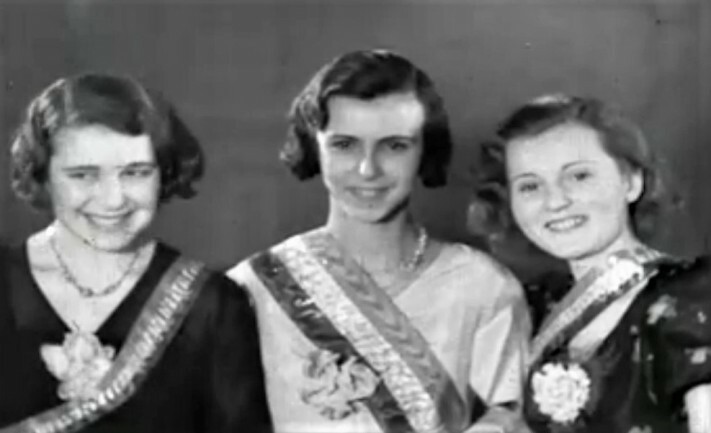 Zsa Zsa (right) in 1933 at the Miss Hungary contest. Her mother lived in Hungary in 1944 with her married daughter, Magda, when the Germans occupied Budapest. The Jews were rounded up, but she was saved. Beautiful Magda maintained an extramarital liaison with Carlos Sampayo Garrido, Ambassador of Portugal to Budapest, who hid her mother from the deportations. Garrido also arranged Portuguese protection letters for several hundred Jewish families but Magda couldn’t save her own grandparents; they perished during the Holocaust. The Gábors were also related to the late California Congressman Tom Lantos. Lantos’s wife Annette Tilleman is a cousin of Zsa Zsa. 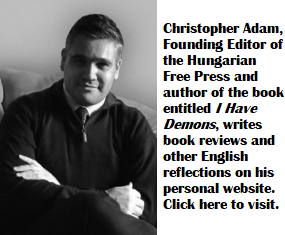 The Gábors have never associated with Hungarian-American organizations in the US, although Zsa Zsa met Hungary’s Consul General in Los Angeles. In 1968 Zsa Zsa visited Communist Hungary. She was treated like royalty after she ordered several gowns at the famous Klára Rotschild salon on Váci Street. A lover of beautiful (and expensive) dresses, Zsa Zsa was an advisor to one of her husbands, Jack Ryan, who designed the famous Barbie-dolls. Zsa Zsa gave valuable advice in creating the popular dolls. 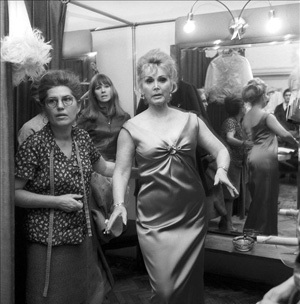 1968 – Zsa Zsa in Budapest at Klára Rotschild’s Salon. After their mother’s divorce, the three daughters became very close. 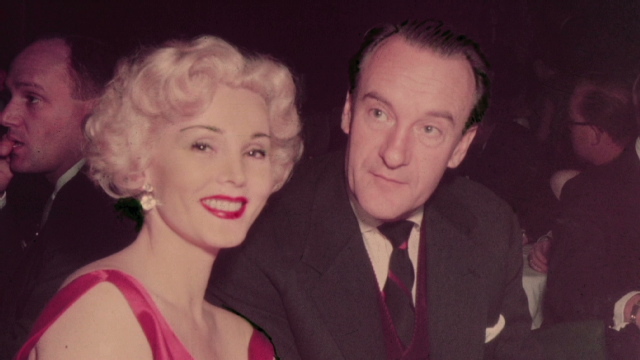 Zsa Zsa was married to George Sanders, the noted British actor between 1949 and 1954. He loved the Gábors so much that in 1970 he married Zsa Zsa’s sister Magda! That marriage lasted only for one year. One of Zsa Zsa’s favorite sayings was: “I am a marvelous housekeeper. Every time I leave a man, I keep his house.” Zsa Zsa had nine marriages. The three Gábor sisters had 20 (yes, twenty) marriages altogether! By the way, Zsa Zsa was a good housekeeper and according to her friends she was an excellent cook. Moore also writes: “Beneath the glamour, as with so many of these female stars, we now sense the power, control, and sheer stamina they needed to keep going.” That is right! Zsa Zsa was a powerful woman – the ultimate survivor. Thank you Gyorgy! A model for survival… We would need her oompf and spirit now, as we find ourselves living in Donald the First’s kingdom.